Discover TheHiddenBlade01's Youtube and Instagram stats, most viewed videos and tag analysis. Hello I'm TheHiddenBlade01 and welcome to my LEGO Video Games channel! 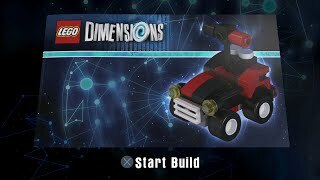 The game I'm currently covering is LEGO Marvel Super Heroes 2, but I have made videos for LEGO Dimensions Year 1 and 2, LEGO Batman, LEGO Avengers, LEGO Star Wars, LEGO Jurassic World, The LEGO NINJAGO Movie Videogame and much more! I also cover the upcoming news based around LEGO games and sets on the channel in my unique news update style! I'm also a huge Marvel and DC fan! I play on the following consoles - PlayStation 4 (PS4), Xbox One (XB1), Xbox 360 and PC! 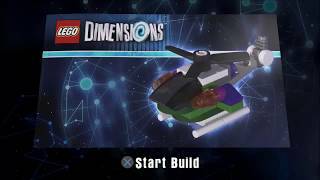 Upcoming games I'll be playing: LEGO Marvel Superheroes 2 + DLC (2017 / 2018) Remember to SUBSCRIBE and click the bell, so you never miss a video! Get inspired by discovering the TOP 100 Youtube videos of TheHiddenBlade01. AWESOME Weeping Angels Easter Egg! Discover which video tags are used by TheHiddenBlade01 for the most videos.